A friendly and helpful superior Bed and Breakfast established for over 38 years offering modern and clean ground floor accommodation. The Garden Bedroom offers a single, twin or double configuration, TV, free Wi-Fi and comfortable seating. The garden is accessed directly from the room for guest’s enjoyment. Breakfast, when required, is served between 7am and 9am in the dining room. The accommodation also has a Private shower room and sun lounge with refrigerator, tea and coffee making facilities plus complimentary fruit, biscuits and water. Excellent position from the A303, situated within a mile of the town centre with off road parking. The train station is in walking distance. (About 15 minutes). Two pub/restaurants are a 5-minute walk away with more in the town centre and popular village pubs easily accessible by car. Salisbury Road Bed and Breakfast Accommodation. Andover. 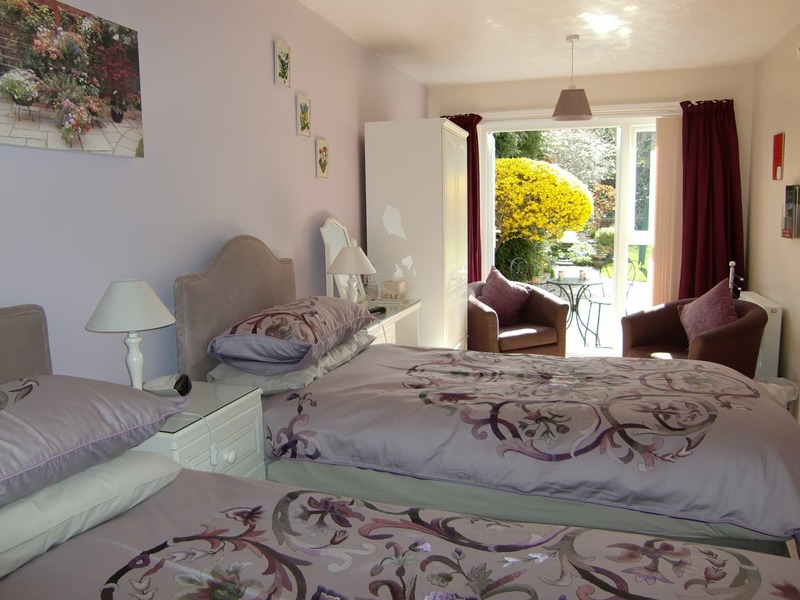 A superior Bed and Breakfast established for over 37 years yet offering a modern and clean ground floor accommodation. The Garden Bedroom offers a twin or double configuration, TV and comfortable seating. Top Food Hygiene Rating of 5 Star awarded by Test Valley Borough Council.